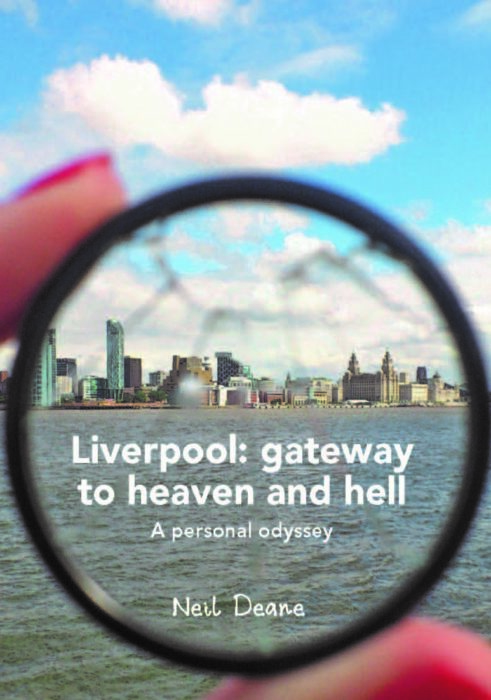 Neil Deane’s third book “Liverpool: gateway to heaven and hell. A personal odyssey” at- tempts to explain how and why his home town is a city “on the edge”, different from its northern English neighbours. He weaves in his own story after joining the proceedings in 1957, relating his everyday experience of life until his departure in 1979 when he moved to Germany, after which he continues his auto biographical narrative as a self-exiled, committed observer and frequent visitor. lifted most of all by its people, ever determined to make sure that heaven wins the penalty shoot-out. The book offers the reader many things: a comprehensive social and cultural history; an analysis of the city’s people and the gripping tale of the Beatles in their home town. An inside view of the Scouser’s unbreakable bond with his football team and the pub com- pletes the picture. Anybody wishing to get to the bottom of what Liverpool really is about should not miss this event. Neil Deane is a lecturer of English at the University of Duisburg-Essen, where he has been working since 2003. He has been living in Germany since 1979 and recently took up German citizenship as a response to the forthcoming Brexit scenario. He still retains, however, his British and Scouse passports. After the talk, we cordially invite you to a drink.